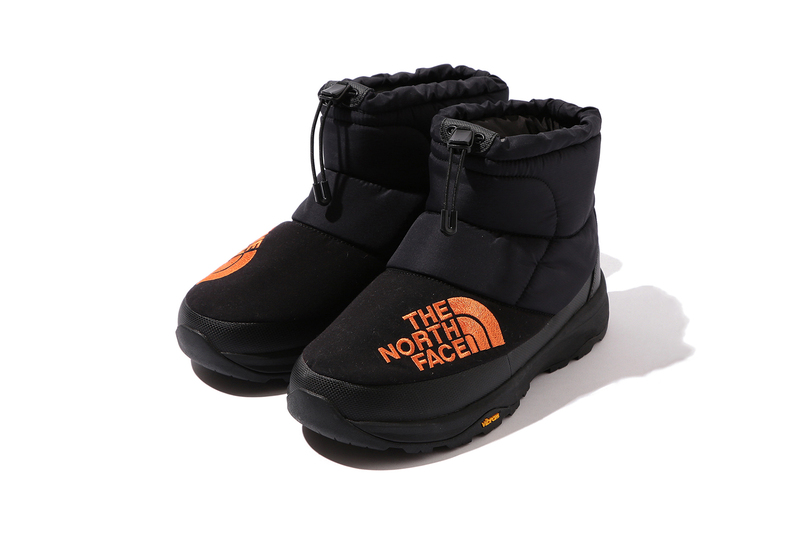 BEAMS already revamped The North Face’s wintertime footwear once this year, and the Japanese retailer is already preparing another variety of revamped seasonal shoes for Fall/Winter 2018. Two more insulating Nuptse items have received the BEAMS treatment; the Nuptse Traction Lite Moc III and Waterproof Short Bootie. Both silhouettes are offered in Black/Orange or Blue/White colorways, with the Bootie sporting a bespoke Vibram outsole for extra traction. The silhouettes each offer slip-on accessibility; an adjustable pull tab on the shaft customizes the fit of the Bootie. Removable insoles, oversized The North Face branding and insulating lining add to the versatility of all four shoes. The bespoke footwear hits BEAMS’s web store in October; the Bootie retails for ¥20,520 JPY (approximately $185 USD), while the Moc weighs in at ¥15,120 JPY (approximately $135 USD). Most recently, The North Face Japan introduced a line of customizable coaches jackets.